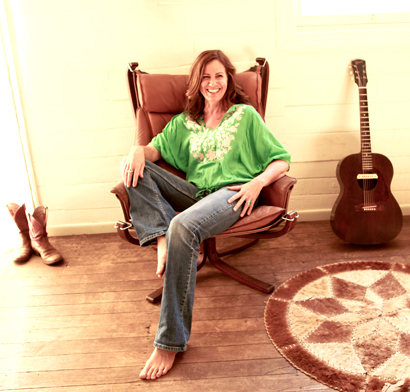 ‘Time’ is the aptly named and long awaited 3rd album from one of Australia’s best country-roots songwriters Sara Tindley. In 2007 her critically acclaimed album ‘Lucky the Sun’ (produced by Bill Chambers) introduced us to her honest, funny, tender songs and warm, emotive voice. Garnering comparisons to Gillian Welch, Lucinda Williams and Kasey Chambers, the album left fans from across the musical spectrum hankering for more. But things like motherhood, deaths and finding a quiet space to write have a way of taking up time. The result is a beautiful, unpretentious album that delicately holds Sara Tindley’s brilliant songwriting and plaintive voice in its embrace. Opening track ‘Golden’ is the kind of song Stevie Nicks or Carole King would be glad to call their own. Title track ‘Time’ (a co-write with Karma County drummer Stu Eadie) shimmers with just the right balance of wistful longing and joy while ‘Country Girl’ is a superb country gem about walking away from farms turning to dust. Later ‘Little Birds’ (written for a close friend’s dying mother) and ‘Slow Dance’ are two simple yet incredibly tender songs of love. The album illustrates Sara Tindley’s easy gift for combining the emotional honesty and story telling of country music with the unadorned melodies and musicality of the Australian roots and folk scene. She dances with both and is married to neither. These are modern songs with a country lilt. Like the woman herself, the songs speak directly - they’re vulnerable and strong, full of sharp observations and gentle acceptance. After listening to Sara Tindley’s new album ‘Time’ you definitely give a ‘rats arse’ about what she has to say – she has a way of speaking to us all.